Ask any digital marketer which social platform is the best for brands to engage with audiences, and the answer will nearly almost be Instagram. Facebook, Incorporated, which owns Instagram, ought to be happy knowing that. The problem is the company owns another social platform—you might have heard of it—and that one has been steadily declining in popularity for years. Facebook is clearly in a downward trend, but they’re not going down without a fight. And, let’s be honest, a company worth $138bn is neither down nor out. They’ve got plenty of fight left in them, and recent announcements from the company are hinting at a shift in focus. With all that bad news, it would be easy to write Facebook off as a future relic—but that would be a mistake. Even with 42% of users “taking a break” from Facebook, it still outperforms Instagram in terms of daily active users by a very wide margin: 1.47 billion vs. 400 million. Snapchat, the main beneficiary of the Gen Z Facebook exodus, sits even further away at 191 million. And, again, there’s that whole U.S. Election 2016/Cambridge Analytica thing: for better or worse (hint: it’s worse), the highly coordinated, data-driven campaign to inflame political divisions within the U.S. and influence a presidential election was incredibly successful. It demonstrated just how easy it is to shape perception in consumers when you know all the details of their personal lives. Facebook, to its credit, has been working diligently to combat these kinds of nefarious campaigns, and there’s good evidence that it’s been working. The same technology that uses your data to figure out who you are for advertisers is now also profiling accounts that appear suspicious. They’re definitely on top of their data game at this point. All of which makes Facebook’s recent announcement of their new Brand Collabs Manager tool worth a closer look. 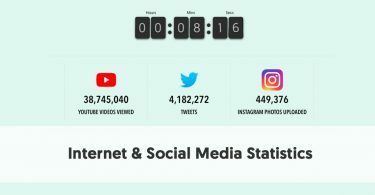 It is essentially a data-driven influencer search engine, one that is now in direct competition with any of the existing platforms offering the same service. Sure, BCM only works with Facebook at the moment, and many of the competing platforms focus on Instagram. But, again, Facebook owns Instagram, and all these platforms rely on API access to provide their services. Not long after the release of BCM, Facebook revoked this access for Deep Social, an Instagram analytics platform that was rated very highly right here on this site. Neither party has been public about the reason, and Deep Social shut the business down for good right after this happened. Facebook may be losing influence with younger generations, but it still has enormous sway over the businesses and developers that want to work within their ecosystem. And with one decision, they have the power to kill of entire businesses that they have no controlling interests in. This is why nearly everyone still wants to work with them. 77% of marketers surveyed said that Facebook was the most important platform to their influencer marketing strategy going into 2018, and that was before they added the discovery engine. With the release of BCM, Facebook hasn’t just signaled it’s ready to get into the influencer game for real. We think that there’s more to this than a dominant platform trying to catch up, and then edge itself in, to the biggest marketing trend in recent years. This is about more than just making Facebook the place for influencers and brands to meet. That would be to the detriment of Instagram, which is clearly not in Facebook’s interests. So what are they playing at? By 2019, video streaming will account for 80% of all web traffic. 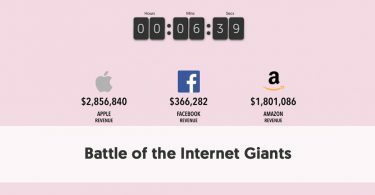 By 2021, one million minutes of video will travel across the internet every second. Though the numbers might seem surprising, they really shouldn’t be. This is the promise (or the threat, depending on your viewpoint) of the internet, as predicted 20 years ago, coming fully to life right now. We all saw this coming, so it probably didn’t take too many geniuses at Facebook to figure out that’s where the real marketing play is. No, Facebook isn’t looking to replace Instagram as the number one social marketing platform. It’s got its sights set on number two: YouTube. Last November, the company announced the launch of Facebook for Creators, a two-pronged program aimed at “passionate people making awesome videos who want to level up.” When creators join, they get access to the FBfC website, an online “community” containing How-To resources, access to support, product news and updates, and profiles of the platforms most successful creators. They can also download an app that includes video creating and editing tools, a unified inbox for managing comments and messages across Facebook and Instagram, and access to data insights and audience analysis. In 2017, Facebook generated nearly $40bn in ad revenue. Google doesn’t release exact figures for YouTube, but estimates place it between $10bn and $15bn. 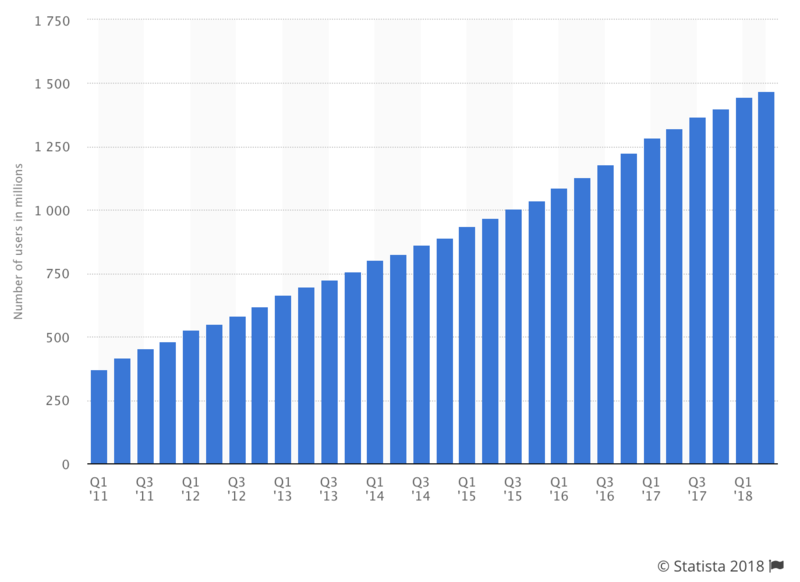 These numbers are a testament to the power of Facebook’s advertising engine and the way it uses data to help businesses create and distribute content in hyper targeted ways. They’re betting that the lure of all this money will bring at least a few big names, and their Gen Z audiences, to the new video-focused Facebook. 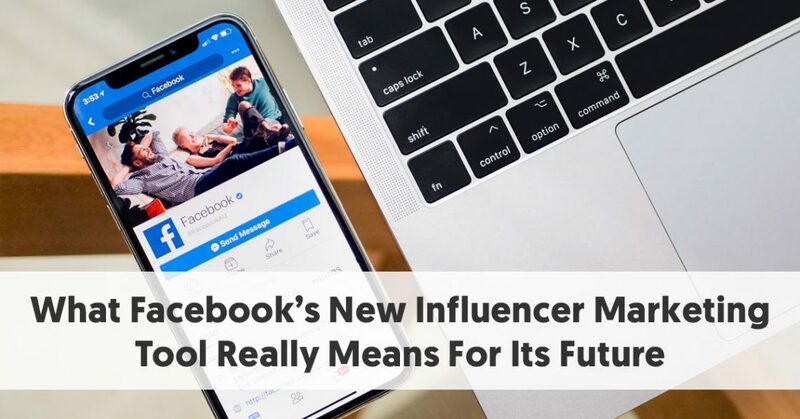 For the smaller startups who’ve pioneered the influencer marketing software industry, Facebook’s latest move into influencer discovery should be nerve-wracking. But if there’s one thing they can take solace in, it’s that it doesn’t seem like they’re coming after you. They’ve set their sets higher—they’re looking to level up—and you don’t do that by competing with companies a fraction of your size. That doesn’t mean you can relax and breathe easy: you’ll still have to adapt to the changing landscape. Social media may have become popular because of the new ways it allowed people to connect with others worldwide. But it isn’t sustained by our collective use of it. It’s sustained because it makes money—and it makes money because companies are getting more value out of their advertising budgets than ever before. With the release of Facebook for Creators and Brand Collabs Manager, Zuckerberg and company are looking to establish themselves as a media company with a global reach of over two billion people. 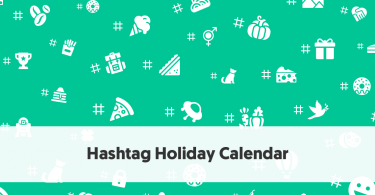 When these tools eventually make their way to Instagram, and they will, they’ll be an established multi-channel media outlet. We’ve entered a new phase of social media, with the emphasis on the word media. Facebook and Google look ready to square off against each other in a race to see who will dominate this new media landscape—all in the name of facilitating the kind of authentic, influencer-created sponsored content. If influencer marketing hasn’t yet been thought of as a mainstream mode of advertising, that changes now.